We use the latest technologies to offer you the best possible dental solutions, including: 3D computer imaging with low-radiation X-rays and soft-tissue lasers. In addition, we offer advanced pain-free techniques to ensure your comfort. 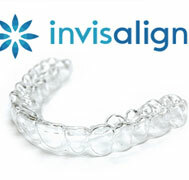 Whatever your orthodontic or dental needs, Bright Smile Center provides an exceptionally high quality of orthodontics treatments, together with general and cosmetic dentistry and other dental cosmetic treatments – all at affordable prices in a friendly environment and undertaken with a gentle, caring approach. Our focus is on achieving the best results and long-term solutions that fully meet the needs, expectations and priorities of each individual patient. Our team is led by Dr. Tariq Sahawneh, a specialist orthodontist in Dubai with over 17 years of dental clinical experience. 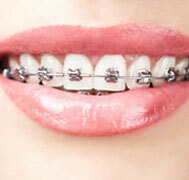 As orthodontist, we specialize in the correction of “malocclusions” or “bad bites”. Many people have teeth that are crowded or crooked, some people have upper teeth that stick out and look unsightly. 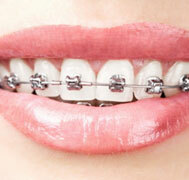 Orthodontic treatment can be used to straighten these teeth and improve appearance. 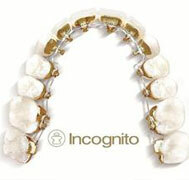 Orthodontic treatment is always a change for the better regardless of your age. The biological process involved in tooth movement is the same in both adults and children. The health of your teeth, gums and supporting bone is the most important factor in determining the prospects for improving your smile. 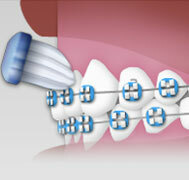 At Bright Smile, we pride ourselves in providing the best orthodontic treatments in Dubai. 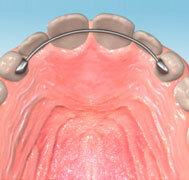 Damon braces are self-ligating appliances that are fitted in the same way as traditional metal braces. But instead of having brackets that tighten and adjust the braces regularly, Damon braces use a slide mechanism that attaches wires to brackets to move naturally with the teeth as they realign.